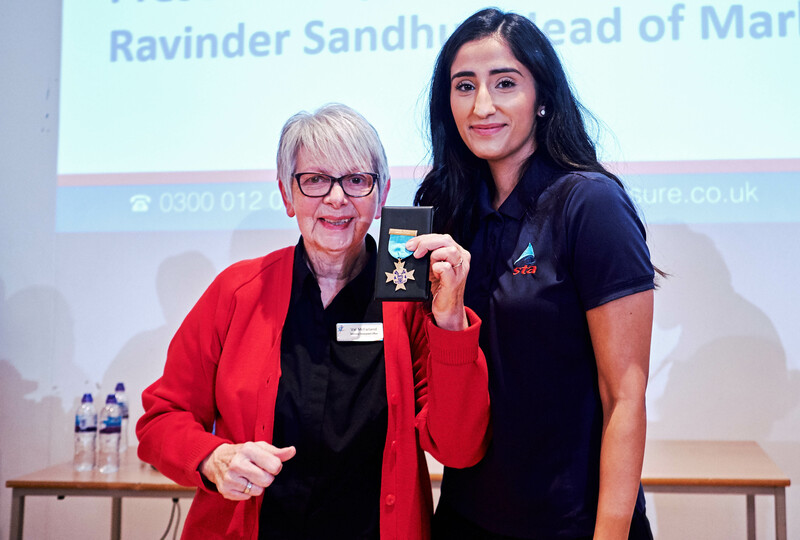 Val from Tipton, who is a very youth full 72, has over 40 years experience as a swimming/aquatics teacher and lifesaving tutor and examiner – and has subsequently been recognised by STA with the top service and achievement accolade for 2018. She has taught thousands of schoolchildren across the Sandwell and Dudley areas to swim, plus almost as many adults – including stroke sufferers and amputees needing to adapt their stokes so they could enjoy swimming again, plus people into their 80s who have finally taken the plunge. In her role as a Tutor Val has also organised and delivered regular external and internal training courses to ensure the next generation of teachers also share the same passion for swimming as she does, plus as result of her success in training and examining for lifesaving and lifeguards a sizeable number of people (locally and globally) have gained employment and developed career paths. A delighted but modest Val says: “It’s just what I do, so I was quite taken aback when receiving what I now know to be such an esteemed award. It started as a hobby back in 1975, working voluntarily with clubs and special schools and teaching deaf/blind and physically disadvantaged children and adults to be confident in the water – and I loved teaching them so much I gave up my full time job and taught swimming wherever I could. SLT’S Assistant Operations Manager, Sean Ryan adds: “Myself and the SLT Board nominated and backed Val for the STA’s Cross of Merit because it was long overdue really. She is a true inspiration to us all and has touched so many lives in a positive way over the years. Val ensures that all who has a desire to learn to swim can do so – even if some of them have to overcome varying challenges to do this. “Her internal training ensures our swimming and lifeguard teacher teams deliver lessons and standards of the highest order and Val’s wealth of knowledge is also called upon when we need to change systems and processes to ensure we meet the ever changing demands of parent and schools that use our facilities in Sandwell.